The EPL kicked off last weekend to football fans excitement after the regular summer break. In African countries like our beloved Nigeria, football fans rarely have something to talk about on social media during the weekends when there are no league actions across Europe as it is now part of the weekend routine to watch the English Premier league in their homes, bars or viewing center Nationwide. According to a BBC report , 260 million Africans follow the English Premier League and the popularity of the league is growing fast across the globe. Asia leads with 406 million followers, while Europe and South America stands at 67 million and 62 million respectively. Last weekend, football lovers in Africa were glued to their TV and mobile phones to get real time updates of matches and to see their African stars shine. A total of 30 goals were scored in all match day 1 premier league matches with African players scoring 9 which means African stars scored 30% of all the goals. If this trend continues every week, surely the English Premier League franchise will keep growing in Africa. 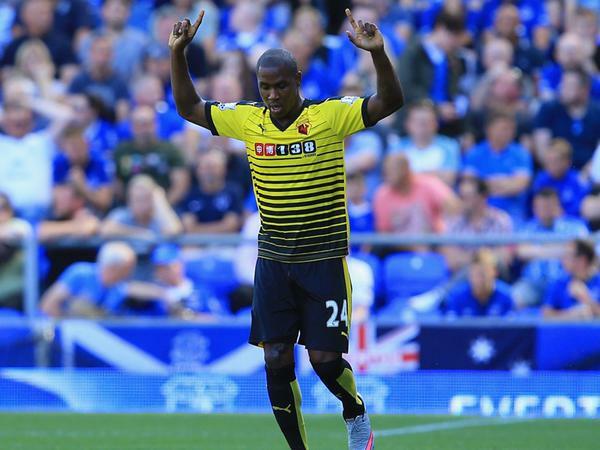 Nigeria striker Odion Ighalo continued his scoring form for Watford with a fine finish before Ivory Coast striker Kone equalize for Everton to put the match at 2-2. Algeria Mahrez scored twice in Leicester 4-2 win over Sunderland. Ghana midfielder Andre Ayew leveled the game for Swansea at 1-1 at Stamford Bridge against champions Chelsea. Match ended 2-2. Senegal international Kouyate scored from a set piece to beat Petr Cech as West Ham shock Arsenal 2-0 at the Emirates. Another Senegal international Papis Cisse scored for Newcaste in their 2-2 draw at home to Southampton. African player of the year Yaya Toure nets a brace in Manchester City 3-0 away win at West Brom.